MONTREAL - Quebec's traditional taxi industry suffered another blow on Thursday after the province's Superior Court rejected its demands to have Uber's operations declared illegal and its permit revoked. Taxi companies, the union representing taxi drivers and other stakeholders argued Transport Minister Laurent Lessard exceeded his authority when he signed a deal with the ride-hailing company in 2016. The agreement gave Uber a one-year operating license in Quebec under a pilot project with the possibility of a one-year renewal. Justice Elise Poisson said in her ruling the transport minister didn't exceed his powers in signing a deal with the San-Francisco-based ride-hailing company. The taxi industry sued both the Quebec government and Uber. It argued the pilot project created two parallel systems of taxis in Quebec that amounted to "unfair competition" against traditional drivers and permit holders. Taxi drivers must buy or rent a costly permit to operate in Quebec, while Uber drivers, under the deal, were allowed to work under a different system allowing them to bypass the permit requirement. Quebec taxi law, the drivers argued, only allowed the minister to enter into an agreement "with actual players in the industry and not outside actors." A representative from Uber did not want to comment on the ruling and the union representing taxi drivers said it would likely react Friday. 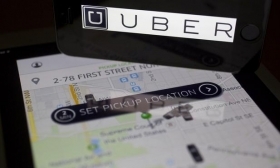 Despite the favourable decision, Uber's future in the province remains uncertain. Lessard said in late September he would renew Uber's permit but added new requirements regarding driver training and background checks. Uber rejected the minister's demands and said it would leave Quebec by Oct. 14 if it couldn't come to a new agreement with the province. Quebec's taxi industry has been suffering significant decreases in revenue since Uber entered the market because the company has disrupted the traditional business model. For decades the government had limited the number of taxi permits in each city in the province. The cost of each permit soared to six figures, forcing owners to take out mortgages to purchase them. Uber bypassed that regulation and started offering people rides without obtaining a permit. Due to lower overhead, they undercut the traditional taxi industry and offer rides cheaper than regular taxi drivers. It is unclear how this ruling will affect an ongoing class action lawsuit brought forth against Uber on behalf of thousands of taxi drivers across Quebec. A judge in January authorized the class action against the company. The taxi industry said at the time it was seeking "hundreds of millions" of dollars from Uber.